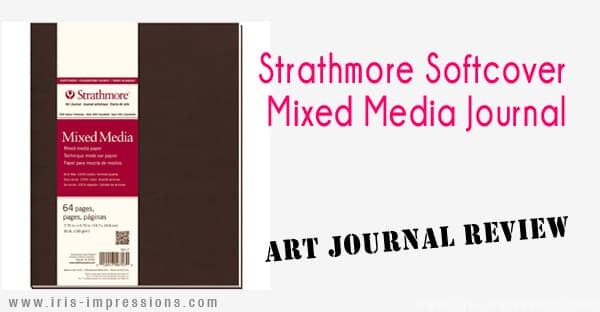 I heard about Strathmore journals a lot in the mixed media scene (I think I first heard Donna Downey mention it in one of her videos), but they’re not available in the UK. Then I realised that I could easily order one from amazon.com and the shipping wasn’t too bad! I’ve only had this one a few weeks but it’s already become my absolute favourite journal I own! Keep reading to find out why. It has a soft floppy cover that feels very nice to touch. It got a bit damaged in transport; it has some grooves pressed into the cover material. I’ve heard other people mention something similar happened to theirs but it doesn’t affect its use at all. It’s 7.75×9.75″ and it feels like an ideal size to me (not so small to be fiddly, but not so big to be intimidating). The binding is sewn and then glued. This means the pages don’t lie flat when you open it. That’s not ideal, but it’s something I’ve been able to learn to work with. One of the major advantages of this type of binding is that there is no bleeding! So to me it’s pretty much a direct tradeoff (lie flat vs no bleeding). The paper is only 90lb/190gsm which sounds ridiculously thin. I normally wouldn’t touch anything that thin, thinking it would definitely not stand up to heavy and wet mixed media use. Surprisingly.. this is some of the best paper I’ve used. 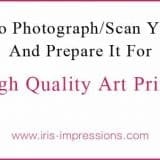 It can take quite a bit of abuse before it starts pilling and the pages don’t show any sign of buckling or rolling when you use wet media. The paper feels quite porous and velvety (when you use watercolours they feel like they kind of soak in and fan out a bit) which is a quality I really like. This is a US journal and easily available over there both online and in stores. I don’t know any shops that stock it in the UK, but as mentioned the international shipping on amazon is very reasonably priced (just select the slowest shipping option & have patience!). This journal costs around $16. Including shipping to the UK it cost me around £16. Not exactly a bargain, but absolutely worth it for the quality. There are no other journals that I’ve used at this price point that tick so many boxes. 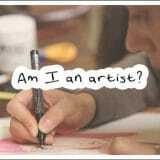 Strathmore do a specific line of paper for mixed media, which is what is used in these mixed media journals. It’s absolutely spot on and this journal is a joy to work in. I’ve dubbed it The Magical Journal! 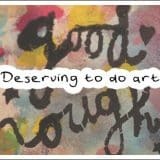 Everything I do in it I enjoy and I love all the paintings I’ve made in it! My only criticism is that the pages don’t lie flat. 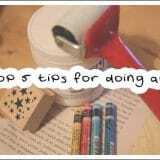 Next time I will try the hard cover version in the mixed media journal range, as that one does lie flat. Disclosure of Material Connection: I have not received any compensation for writing this post. I have no material connection to the brands, products, or services that I have reviewed. If you’ve used Strathmore mixed media journals yourself and would like to share your opinion please do leave a comment below!